The 54th Battalion was formed in Egypt February 1916 from men of New South Wales including reinforcements from Australia and experienced soldiers from the 2nd Battalion. The Battalion first went into action on the Western Front at the Battle of Fromelles. There are 30 soldiers from the 54th Battalion listed amongst the missing buried by the German army at Pheasant Wood Fromelles. One of the soldiers who died at the Battle of Fromelles was the 54th Battalions Chaplain Reverend Maxted. The Red Cross Wounded and Missing Enquiry Bureau Files available on line at the Australian War Memorial help piece together the story of how he died. Reverend Spencer Edward Maxted was the Anglican Minister at St Oswald’s Church Haberfield, Sydney, before enlisting in the AIF. He lived at the ‘The Rectory‘, Deakin Ave Haberfield with his wife Gertrude. Private Maxted embarked from Sydney in December 1914 aboard the HMAT Berrima and served as a stretcher bearer on Gallipoli. It was not until January 1916, during the reorganisation of the AIF in Egypt, that he was appointed a Chaplain and joined the 14th Brigade. 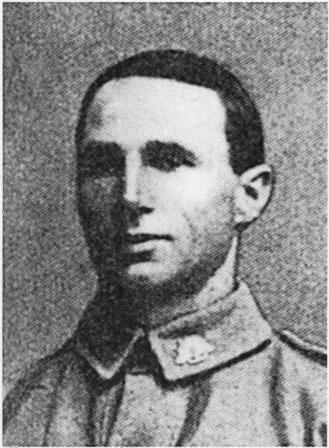 On the 25th April 1916 – the first anniversary of the landing at Gallipoli – he was attached to the 54th Battalion. Reverend Maxted was with the battalion when it went ‘over the top’ at the Battle of Fromelles. During the Great War, in the Sydney suburb where Reverend Maxted had lived prior to his enlistment a local newspaper, The Haberfield Harbinger reported details of his death in the October 24th 1916 edition. A war correspondent writing of the great battle which lasted from 6 am 19th July to 2 pm on the 20th says: During the fight we unfortunately lost one of our chaplains – Captain Rev. S.E. Maxted, M.A., B.D. Dog-tired with running for stretcher bearers during a fierce cannonade, he turned aside for refuge and rest into a trench, and sitting down in the corner he immediately fell asleep. It was a front-line trench, and by and by a high explosive landed on the parapet, a fragment killing him instantly. The loss is much mourned throughout the brigade. Originally he was an A.M.C. corporal, but after Gallipoli he was appointed a chaplain. Reverend (Captain) Maxted was blown to bits helping to bandage some of the wounded at Fleurbaix. He might not have been so good in the pulpit but my word, he was the gamest man in the 54th. He just hopped over the trenches with the rest when the charge was on and said “there is going to be a lot of casualties, and I’ll help you all I can.” I told him to look out and be careful, but he said “We will all be wanted today.” “My word”, he said “our boys are brave”. He was very clever bandaging and while he was busy was blown to bits. He was plucky. Reverend Maxted was survived by his wife Gertrude and twin daughters who he never had the opportunity to meet. Reverend Maxted is buried in Rue Petillon Military Cemetery. 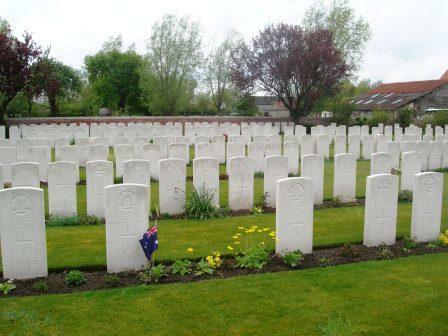 FROMELLES IS NOT HONOURED ON THE NATIONAL OR ANY STATE MEMORIAL IN AUSTRALIA. FFFAIF SUPPORTS ALL EFFORTS TO RECOGNISE FROMELLES ON OR AT THE NATIONAL AND ALL STATE MEMORIALS THAT PRESENTLY LIST BATTLES BY NAME. All website information (i.e. the images, graphics, text etc) on our website are copyright © Families and Friends of the First AIF Incorporated (FFFAIF Inc.) or its individual Members. This entry was posted in Diggers of First AIF, Top Posts. Bookmark the permalink.